The following is 1) a report from StopBeck.com conveying a report about academic groups condemning Glenn Beck for his absurd attacks on Francis Fox Piven, a sociologist that he's been falsely claiming is trying to destroy our financial system and 2) Piven's personal response to Glenn Beck describing the damage that he's doing to his followers how he is threatening our democratic order. It is reproduced here with permission from Alternet where it was published. sufficiently overheated that the potential for physical violence is real. We call on public officials, political commentators, and others in the media to help discourage the rhetoric of hate and violence that has escalated in recent months. We vigorously support serious, honest, and passionate public debate. We support serious engagement on the research of Professor Piven and of others who study controversial issues such as unemployment, the economic crisis, the rights of welfare recipients, and the place of government intervention. We also support the right of political commentators to participate in such debates. At the same time, we insist that all parties recognize the rights of academic researchers not only to gather and analyze evidence related to controversial questions, but also to arrive at their own conclusions and to expect those conclusions to be reported accurately in public debates. Both scholars and commentators, regardless of political orientation, strive to serve the public good. We can only benefit from their work when all parties respect the rights of others to disagree without fear of violent reprisal. We call on all parties to condemn the recent escalation of violent rhetoric, which does nothing to serve democracy. Beck's paranoid theories are flourishing because of serious troubles in our democracy. About two years ago, Glenn Beck, the Fox News personality, began a series of tirades against what he called the Cloward-Piven plan for orchestrated crisis to collapse the system. The plan, he explained to his audience, had been laid out in an article written by Richard Cloward and me, and published in the Nation magazine in May 1966. In the article, we proposed a mobilisation of poor people and their advocates to claim the welfare benefits to which poor families were legally entitled, but that they often did not receive. We thought that the ensuing problems of rising rolls and costs would create pressures for federal reform of the archaic welfare system. Whatever you think of that article, and I still like it, it was written some 45 years ago in a magazine with a rather small readership. But, astonishingly, in Glenn Beck's world, it had led to most of America's ensuing troubles, including the rise of SDS, Acorn, George Soros and the Open Society Institute, the election of Barack Obama and the financial crisis. Beck depicts this on his chalkboard as the "tree of revolution", and he continued to feature this theory of American history on some 50 subsequent shows, as well as on the Blaze, his blog. In January of 2010, I wrote another article in the Nation, about the difficulties that had to be overcome if the rising numbers of unemployed were to be organised to have voice and influence in American politics. In response, the outrage of Beck and his fellow rightwing bloggers escalated, as did the insults, the curses and, especially, the death threats. I am not writing now to complain about the personal threats and what appears to be the aim of extorting silence from the speakers on the left. Rather, I want to offer an explanation of why this sort of rabid and crazy talk is gaining traction in our country. When I first became aware of my location at the base of the trunk of Beck's tree of revolution, I thought it was funny, just because it was so fantastical. It is funny, I suppose, but it is also a reflection of a deep problem. I have come to think that paranoid theories are flourishing because of serious troubles in our democracy. After all, electoral-representative democracy is a set of arrangements that enable ordinary citizens to have influence on government. But for these arrangements to work, citizens have to be able to understand what government does. The common people who participated in the American revolution were gripped by the democratic hope that once the shackles of British rule were broken, the people would have decisive influence over their government because they would be able to watch what their legislators did, and refuse to re-elect them if they did not abide by the people's will. This elemental democratic idea assumes that people can assess the bearing of government action on their own circumstances and the larger society, and vote for or against a candidate or party in reflection of that assessment. But when people protest against a healthcare proposal because they don't want government to get its hands on their Medicare, this elemental assumption is put in grave doubt. Add to this the fact that legislation and regulation is often deliberately obscure to shield politicians and bureaucrats from their publics. Even without deliberate concealment, complex and difficult to decipher policies may well be inevitable in a large, technologically advanced and complicated society. When the process of governing is incomprehensible, manipulation and propaganda thrives. The strange stories that Glenn Beck creates with his chalkboard gain traction with Americans, who are made anxious by the large changes that have overtaken the United States, including the election of a black president and the increasing racial diversity of the population, deindustrialisation and the decline of American power abroad, as well as cultural changes in sexual and family norms. I am responding to the article written by Frances Fox Piven. It is very reassuring to know that she is smart enough to understand the "difficult to decipher policies" and our "technologically advanced and complicated society" since she evidently thinks that the great unwashed masses our here aren't smart enough to participate in a democracy. I'm sure her propensity for being chillingly condescending while making it sound like she is taking the high road has nothing to do with why people respond to her negatively. Mojo, you're not reading her correctly. She's referring to people who swallow the nonsense that Beck spews out. THEY are rather dim if they believe anything that proven liar says. In her recent Nation piece, she wants "the masses" to participate, in the streets, to protest the state of the economy when the fat cats in corporations are doing just swell. I'm sure that it is Glenn Beck's deceitful interpretation of her 1964 piece and smearing of here that has EVERYTHING to do with "why people respond to her negatively." You need to wake up and grasp what Beck is doing to people's minds. It's not good deceiving people. mojoflo, you might have checked out the title of her latest book: Challenging Authority: How Ordinary People Change America. Obviously, Piven does believe that ordinary people are smart enough to participate in a democracy, even misinformed followers of the liar and profoundly ignorant Glenn Beck. I've spent an hour reading this website, only to come to the understanding that it is complete opinion and nonsense. Just as Glenn Beck is opinionated and has a bunch of theories (some true, some not)this site is the exact replica just in opposition. Your site is opinion. Beck is about opinion too. Both this site and beck's show can stand to have quite a few arguments back and forth, and then host ads and make millions. You both were meant for each other. I choose to support beck. I even took the time to read blog posts on this site to make sure I had considered the alternative. This site is just like beck, only with different values. Robert, I suggest you go to the Contents page and look at the long list of "Beck's false claims." They are not opinion; they are based upon facts. Then read the long list of "Beck's hypocrisies" and tell me how he is not saying things that go against his own principles. There are opinions expressed here, but unlike Beck's profoundly ignorant opinions, mine and my guests are based upon facts. Beck is a propagandist. This is not propaganda. 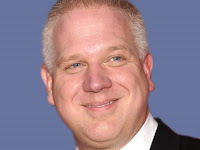 Beck is a demagogue; I am a researcher exposing Beck's many false claims and hypocrisies. You support Beck because you support a known liar, a proven hypocrite, a demagogue and a complete charlatan. I, at least, have an education to back me up. I also have the common sense to not write things that go against my own principles. I wonder if you are THE Robert, Beck's long time "buddy." It's interesting, Robert, that you choose to completely ignore the first part of this post, or the 400+ rabbies asking that Beck be sanctioned, or the 300+ advertisers who won't touch The Glenn Beck Show, or the 10,000 signatures that have been submitted to have Beck fired, or the radio stations that have dropped Beck, or the three thwarted assassination plots that were inspired by Beck, all facts Robert, not "opinion." You choose to support the one of us that called on his supporters to put bullets in the heads of radicals in Washington, DC Robert. How's THAT fact for you? Sorry, Mr. Glenn Beck Review. I can read just fine and Robert is right. You are no different from Glenn Beck. You just have a different/opposite opinion. And, when Robert points out the obvious you feel the need to attack Robert. You are able to point out the flaws and hate in others but are completely blind to your own. That is sad.